Chacha’s Hotel is among those who have not changed themselves along with the modernization. So this place won’t attract you much by it’s ambiance. But for food they have retained the same quality and taste as before, though there are some exceptions. 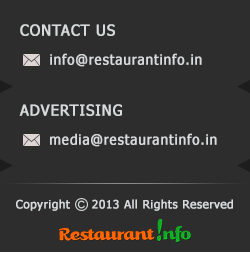 This restaurant is situated in Hatibagan, The oldest Kolkata. Just Opposite to great Swami Vivekananda’s birth place. So it’s not that tough to find Chacha’s Hotel. It is best to pack your food enjoy in home because there is nothing much to serve i=you in their appearance. Their Fast food is very popular among foodies. Fish Chop, Mutton Chop, Cutlet etc are remarkable. And their Thai Chicken / Prawn is another dish which will drag you again. They have a good number of Tandoor items though they are tasty but not that appealing. And same applies for their biryanis.